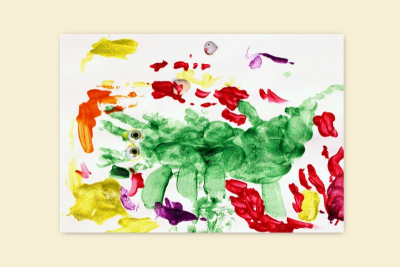 Students learn the Dennis Lee poem, Alligator Pie, and then make a painting of an alligator using lines, colour and handprints. Cover all the finger tips and the palm of your hand. Think of the shape of an alligator. Use the shape of your hands to make an alligator. 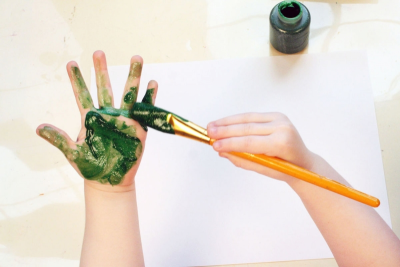 Press your painted hand onto the paper. Make sure the fingers touch the paper too. What part of the alligator will this be? 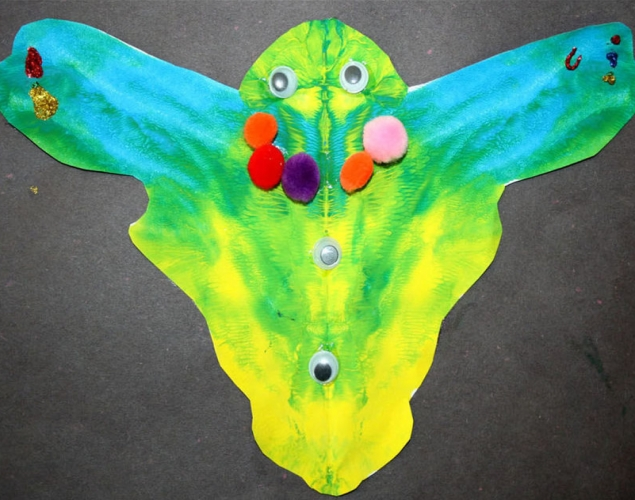 Use more handprints to make the rest of the body, the head and the tail. Add more details with contrasting colours. Add googly eyes and shells if you like. View your painting with fresh eyes. Think about the alligator in Alligator Pie. What is your alligator thinking? Prior to this lesson read and discuss the poem Alligator Pie, by Dennis Lee with your students. Have them learn the poem by repeating it, moving to it and repeating it back to you. Gather, and make available, books about alligators, for example, Zack's Alligator Goes to School, by Shirley Mozelle, and James Watts; There's An Alligator Under My Bed, by Mercer Mayer; Alligators: Amazing Photos & Fun Facts Book About Alligators, by Rita Terry; Alligator Pie Classic Edition, by Dennis Lee, and‎ Frank Newfeld; Snappsy the Alligator (Did Not Ask to Be in This Book), by Julie Falatko,‎ and Tim J. Miller; and If You Ever Want to Bring an Alligator to School, Don't, by Elise Parsley. Set up a printmaking/painting centre with paper, paintbrushes, washable glitter paint, glue, googly eyes and shells. Revisit the poem Alligator Pie with your students. Discuss and review the variety of things that the poet is willing to give up for tasty alligator dishes. 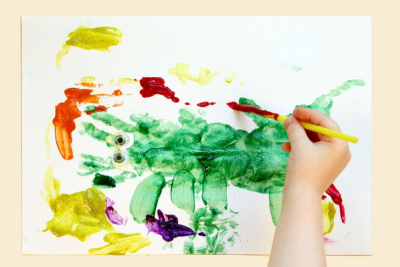 View the images of alligators and place your hand over parts of its body to show how hand prints might be used to make a picture of an alligator. 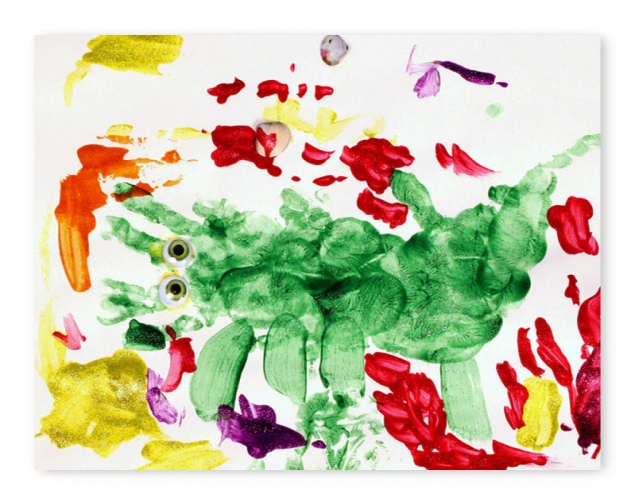 Use your own ideas to make an alligator with prints of your hand. 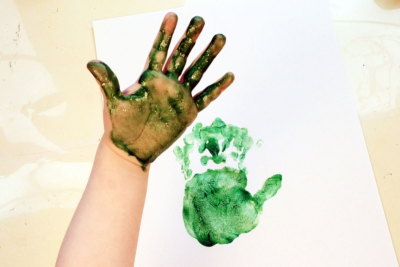 Demonstrate how to make a handprint. - What they learned about alligators. - How they made their alligator pictures. 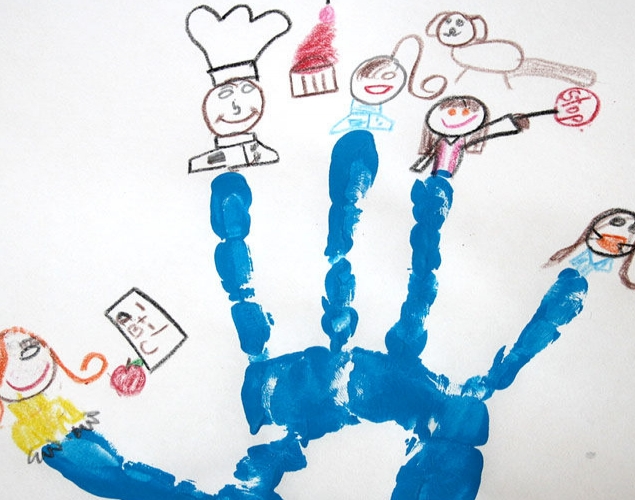 - What they learned about making handprints. - What they like best about their pictures. Display all the pictures in the classroom. Encourage students to view the pictures and notice how they are the same, and how they are different.